This is a love story. Not romantic love, but that which is forged through fire and abuse that was endured. 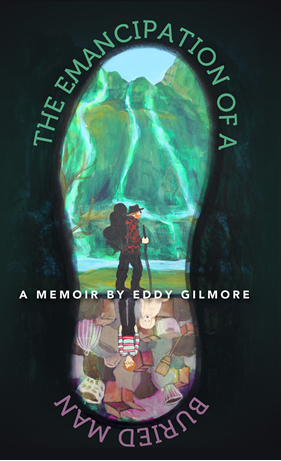 Today I spoke with the abused child referenced in the first chapter of my book: https://eddygilmore.com/about-my-book/chapter-1-lost-among-the-piles/ Though I hadn’t spoken with her in more than a quarter-century, we immediately connected over the phone. There was no awkwardness. Our stories had preceded us…. History is being rewritten. I get chills thinking about it, so I had to get up in the middle of the night to write this. By speaking these hurts, by sharing our pain, the shame is released. This damned shame that should be chained down in the deepest pit of hell to burn burn burn. Send it away. The secret must not be kept, as if treasured in an unholy way. Release it! Damn it to Hell! It is not your identity. It has no control over you, and neither do the people that once had power over you. These wounds that could have been fatal were not. Rejoice. In a sense we are remade when we simply share our stories. It’s a great unshackling. These miserable experiences are not our identity. This woman I spoke with, exuding such strength, has built a satisfying life and family with a husband. She is not passing on the cycle of abuse. She does not take the love of her family for granted. During our conversation she mentioned that after she was kicked out of the house by her stepmom, she went to live with her real mom. At that time she told her mom all that went on within that house. They even pursued justice. My feeling is that she would not be the whole person she is today if she hadn’t told her story at that time. The shame and secret may have welled up within her and become an object to hoard otherwise. Shame. Secrets. Lying. Hiding from the past. Running from it. None of these will adequately allow you to move on. I write this to the person that still allows this shame to be buried in their heart. Shame is ubiquitous in this society that elevates the facade of celebrity as the ideal. Cast it into the Pit where it belongs. I’m also writing to myself here, in airing out my own dirty secret. I shared it for the first time when I was 20-years-old, 18 years ago. It has been a long process of coming to terms with it. 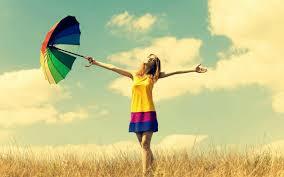 Writing my story has been liberating. In the real world we are all scarred, and perhaps a bit battle-weary. Don’t hide the scars. They are a miracle of the human body. A sign of healing. God bless. Cheers. Peace be with you. P.S. – I am not an expert on treatment. I’m merely allowing strong feeling to boil up to the surface. In a world seemingly run by bureaucrats where everything is clinical, cold, and impersonal, this is needed. Ah, the sweetness of liberty in redemption. Also, loved the battle worn phrase. You might just like the song I just listened to on the net. I googled Sinking Ships Rescue Has Come, by Lincoln Brewster – take a listen, it really ministered to me. Got me to thinking that I don’t have to be strong, I just have to hang on tight.